This website is not owned or operated by the In-Sink-Erator Corporation. WE DO NOT SHIP OUTSIDE OF THE USA LOWER 48 STATES. All parts and products sold are genuine In-Sink-Erator products. They are fully covered under the factory warranty. We have thousands of genuine In-Sink-Erator Parts in stock in our warehouse. Browse our website and order online or call us toll-free! 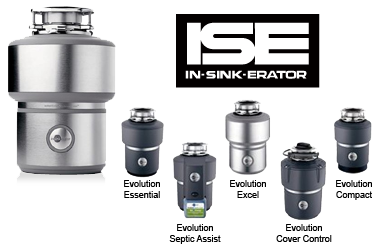 All parts and products sold are Genuine Insinkerator products and are fully warranteed by In-Sink-Erator.